It’s amazing how much can change in your personal and professional life in six short months. 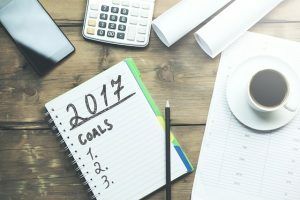 At the beginning of the year, I published a list of written personal and professional goals I hope to accomplish in 2017. I thought I’d take a few minutes and provide an update on how each of my goals are going. We are now half-way through the year, and I have abandoned a good chunk of the goals that I set in January. I use the word “abandoned” because I haven’t failed to achieve these goals (I could achieve them pretty easily), but my priorities have changed and I no longer care whether or not I complete those specific goals. I could make myself complete the goals that I abandoned just so I could say that I achieved my goals, but that would be silly. Early on in the year, I had planned on making a big push toward producing video content and growing my book business. I launched an online video show called Startup Q&A, which was a weekly video podcast where I answered people’s questions. I decided to put the project on permanent hiatus after 26 episodes, because it just wasn’t achieving any significant traction. We only had around 200 downloads per episode and weren’t getting any real feedback from listeners. When I killed the project, literally no one complained. I think the show had good information, there just wasn’t anything special about it over any other business podcast. Rather than trying to save a sinking ship and turn the show around, I decided it was just better to kill it off and focus on other projects. While I like the publishing process and having my content out in book format, it’s just not a very good way to make money. I put out a number of books last year and now have 8 books and 2 book bundles for sale on Amazon. It took literally hundreds of hours of work to put all of these books together and I’ve earned just $35,000 in revenue from my books this year. This might seem like an impressive number, but it pails in comparison to what I make from MarketBeat and my other businesses. I might put out another investing book in 2018 for personal branding purposes, but I won’t be trying to create “passive income” by writing and editing books for the foreseeable future. I think I could get to $10,000 in royalties per month consistently from book royalties, but I would probably need to publish 3-4 books per year to hit that number consistently. Frankly, it’s just not worth the effort. We applied for the Inc. 5000 list again this year. We should hear back later in July whether or not we made it, but we should make the list based on our annual revenue numbers. I set a goal of being able to cover 100% of our living expenses with investment income this year. I can currently cover about 65% of our monthly living expenses. I am not sure if we will be able to cover 100% of our living expenses with my portfolio of dividend stocks, municipal bonds and other income generating investments by the end of the year, but it will definitely happen in early 2018 if it doesn’t happen by December 31st. This is the goal I was almost certain I was going to fail miserably at, but I’m not. I’ve had to fundamentally change my relationship with food over the last few months, but I’m on the right track. I used to have a horrible diet, ate way too much fast food and snacked more than I should. I’ve always been pretty active (I walk four miles each day), but most of us know that a great workout routine won’t make up for eating horribly. At first, I used MyFitnessPal to count calories, but it was kind of burdensome to do that. Instead, I’ve just been eating healthy food and snacking less. I’m down 11 pounds in the last 90 days and hope to lose another 15-20 pounds by the end of the year. Our family went to Disney World in February and Las Vegas in April. I hope we can squeeze in a third “purely for pleasure” trip before the end of the year! I’ve decided that I don’t care whether or not I see the Late Show in person. I haven’t been watching it much lately. I’ve been to Traffic and Conversion and Microconf this year so far. I will attend Rhodium Weekend and Freedom Fastlane Live (now The Capitalism Conference) in the fall. I spoke at Micorconf as an attendee talk and will hopefully be able to be on an investment panel again at The Capitalism Conference. Falls Angel Fund has written two checks and has voted to write a third check once deal terms are finalized. When the third deal closes, we will have deployed $420,000 in capital this year. I am hoping we can find one more company to invest in at our July or September meeting, but that will all depend on who’s pitching and how good the opportunity is. In the last year, no one has really been pounding the drumbeat of entrepreneurship in Sioux Falls. There are organizations, like Zeal, that have events and promote entrepreneurship. However, no one has really stepped forward to be a community leader, gather people interested in entrepreneurship and see what kind of businesses could be formed when entrepreneurially-minded people collide. So, why not me? I do not know how to attach a measurable goal to this effort, but I believe that entrepreneurship is the best way to better oneself and better the community around us. And, I want more of that to happen. I created a Facebook group (Sioux Falls Area Entrepreneurs), which is very active and has more than 1,100 members. We’ve also held 3 “open startup coffee” events and I’ve taken the lead on organizing 1 Million Cups each week. I’m not sure what my next steps to promote entrepreneurship in our community are, but I know that good things will come if I keep showing up and working to build a startup community in Sioux Falls. New Area of Focus: Doubling Down on MarketBeat. There was a time last year that I really thought about selling MarketBeat. I thought it had peaked and that it wouldn’t grow any larger than it was then and there. Our revenue and traffic numbers were down and I was out of ideas. Last summer, our revenue numbers were down 40% from what they were at their peak. The company was still wildly profitable, but it’s depressing to see your business shrink. 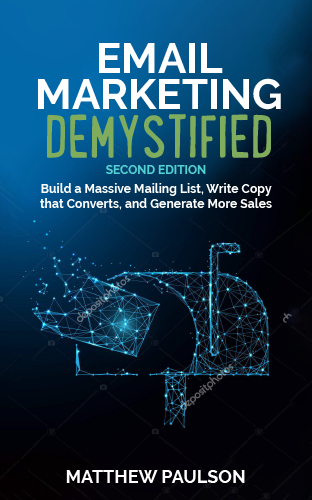 Thankfully, I got a strong second wind early this year (primarily from a bunch of ideas I got from the Traffic and Conversion conference) and the business is growing like crazy. Web traffic and display revenue have returned to their early 2016 highs, and we’re doing extremely well with web push notification ads and dedicated email sends. I wouldn’t be surprised if MarketBeat’s 2017 revenue tops 2016 revenue by 20% or more. That’s it for this update. It really is interesting how large-scale business priorities can change in a few short months, but it’s important to recognize when something just isn’t working and needs to be stopped. Equally important is recognizing large-scale opportunities and jumping on them while they are still opportunities. I think these two things have happened in my “business life” this year. We’ll see how far I get on all of these goals by the end of the year.